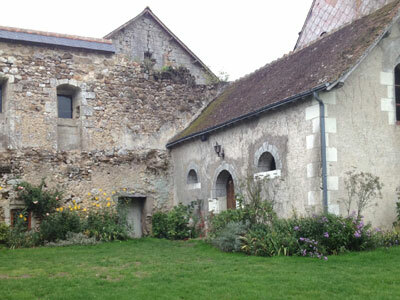 Our accommodation is the beautifully restored wing of a 12th Century Benedictine nunnery and Royal Priory. Nestled within the forest of Villandry, the Priory includes the original pigeon tower and church and is set in 30 acres of privately owned countryside. 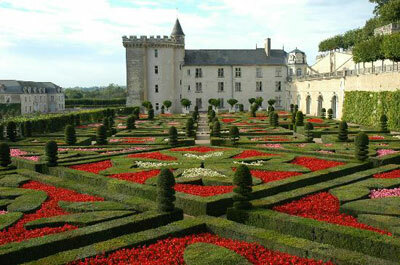 Various French kings, from Charlemange to Louis X1V visited the nunnery, and Joan of Arc called in between campaigns. More recently it was ransacked by revolutionaries and occupied by the Nazis who used the chapel as a storeroom and left bullet holes in the walls. 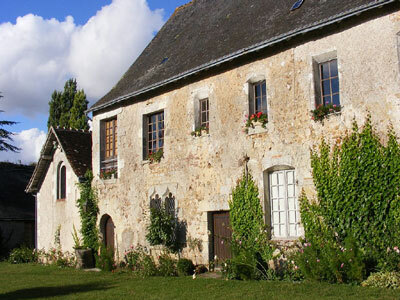 The French owners have restored the damage inflicted by these less than appreciative visitors and refurbished the buildings as exclusive accommodation for groups. With its ancient tufa stonework and magnificent Gothic windows, a big contemporary kitchen housed in an ancient chapel and bedrooms in what was once the nuns’ dormitories, the Priory provides both plenty of space and privacy for our guests within an authentic setting. 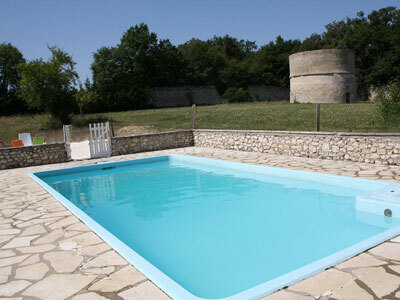 There is a swimming pool for those who need to cool off after a busy day of brocanteering. Although the Priory can accommodate up to twelve people we are limiting the groups to six so we can give you, and the packing and shipping of your purchases, our full attention. In our nine-seater bus, we will take you to weekend brocante and antique markets, many of them in tiny picturesque villages; to vide-greniers and consignment stores, to antique dealers and Emmaus shops. We will arm you with enough french to bargain with the locals, we will teach you the etiquette of the brocanteur and we will take you to places where tourists rarely venture, where the dust lies deep on ancient clutter and the bargains are irresistable. You will visit the Royal Fortress of Chinon, the fabled gardens of Villandry and the turreted castle of Ussé which inspired the story of Sleeping Beauty. You will be welcomed into the private chateau of the Comte de Christen, take a tour of the Priory with the Countess who owns it and you will eat with the locals in some of the most beautiful villages in France. First week in September, Monday to Monday. Price per person twin share is NZ$ 4100.00 ( Land package only, does not include airfares.) Groups limited to 6 or 7. • Seven night’s accommodation in double or single bedrooms with bathroom. • Four evening meals including a privately catered French meal and a group repas at a local restaurant. • Pre-dinner wine and snacks. • Daily transport by mini bus. 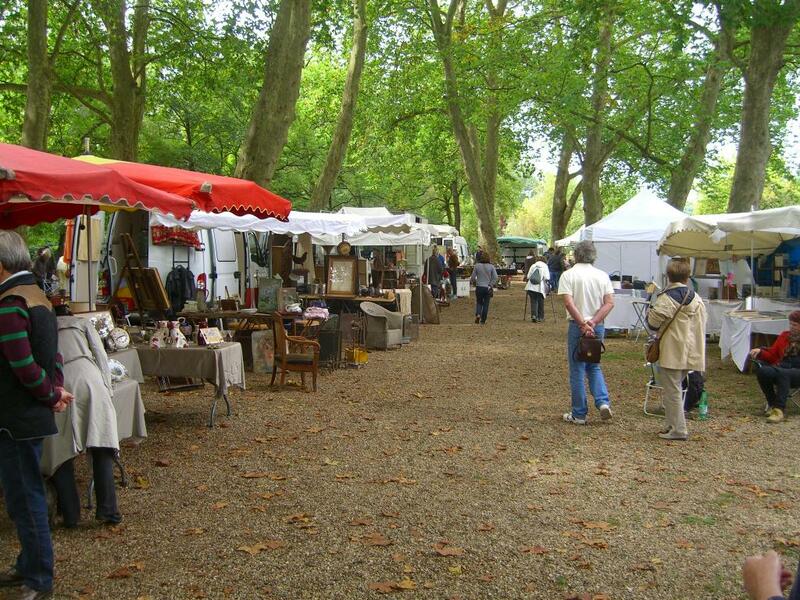 An organised itinerary of markets, antique shops, restaurants and brocante stores, with visits to Azay le Rideau, Tours, Amboise, Montsoreau, Chinon and the medieval city of Loches. • Entrance fees to three venues; Chinon Fortress, Villandry and Ussé. 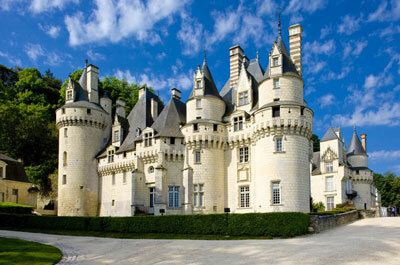 As an option any of these could be substituted with a visit to Azay le Rideau Chateau or Chateau de Candé. • Assistance with buying, bargaining and translation. Au marche French lessons for those who want them. • Packing materials/cartons/wrapping material/individual invoice books. • Assistance with packing, invoicing of purchases, transport to port, EORI documentation, completion of customs requirements for France and New Zealand, shipping of goods to Lyttelton, transport to Akaroa. NB. As we cannot anticipate how much or how little each person may require to be shipped and thus build the cost into our tariff, there will be a shipping contribution of $100 for each carton sized 600x400x400. Clients will be required to pay any GST incurred on their purchases. • Drop-off at Druye railway station. NOTE: While we welcome guests who wish to use the tours to explore commercial possibilities, they are designed to cater for the needs and enjoyment of private individuals and couples. They are not suitable for those wishing to buy in commercial quantities, and anyone interested in doing so should contact us for a private quote.